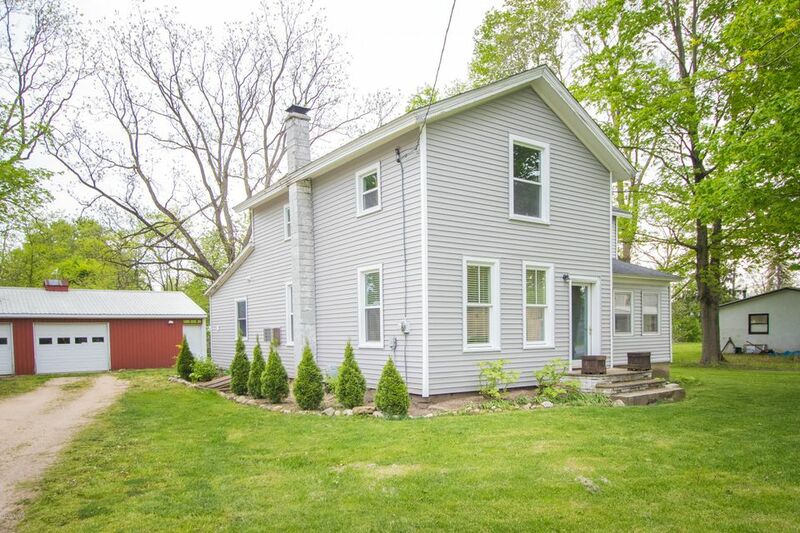 Come see this great remodeled move in ready farm house. Standing the test of time this log post constructed home offers character and charm. Home has received a facelift with newer siding, windows and septic system. Inside you will find a spacious kitchen with fresh paint and flooring, center island and updated appliances, with main floor laundry and mud room off from kitchen, an updated main floor full bath with claw foot tub, spacious living and dining rooms, a main floor bedroom all with fresh paint and carpet. Upstairs you will find all new living spaces with walls taken down to studs, new insulation and drywall. The upstairs has a master suite with attached bath, 2 additional bedrooms and a family room area with electric fireplace.